FORTA FERRO-GREEN® is a unique blend of recycled polypropylene and copolymer macro fibers designed specifically for pervious concrete applications. The FORTA-GREEN blend consists of 100% recycled polypropylene fibrillated (network) fibers and a high-performance twisted-bundle macro-monofilament fiber, designed to mix, distribute, and finish well in pervious concrete mixes. This fiber combination offers a variety of desirable benefits to pervious concrete pavement applications, including increased strength, toughness, freeze-thaw resistance, and durability. FERRO-GREEN is used to toughen any pervious concrete application, such as driveways, curbs and sidewalks, and commercial parking lots and pavements. The three-dimensionally distributed non-corrosive macro fiber blend is one of the few methods available to add true toughness reinforcement to pervious cross-sections, without reducing porosity. FERRO-GREEN also increases resistance to freeze-thaw damage and raveling, while preserving both the plastic and hardened concrete void structure. FERRO-GREEN is generally dosed in a range of 0.17% to 0.5% by volume of concrete, or 2.5 lb. to 7.5 lb. per cubic yard of pervious concrete, depending on the desired level of additional toughness and crack-control required for the application. What are the cost comparisons between FERRO-GREEN® and steel reinforcement? There are many factors to take into consideration. Steel fibers typically require special conveyors or extra man-hours to add them due to the high dosage per cubic yard. Steel mats or rebar are very labor intensive to place on chairs and supports and to tie properly. The 3-dimensional FORTA-FERRO fibers can be placed with a laser-guided screed and can eliminate the need for a concrete pump in these situations. The FORTA-FERRO benefits can reduce labor hours and placement time, providing significant job savings. How does FERRO-GREEN® affect placement and finishing? FERRO-GREEN® fibers are added at the concrete batch plant and require 4-5 minutes at normal mixing speed for proper distribution. They will reduce visual slump approximately 3″ at the 7.5 lb. dosage, and will typically require a super-plasticizer or mid-range water reducer to provide flowability for placement. Using excessive mix water will naturally reduce concrete strength and create bleed water that will make the surface less durable. Good concrete finishing practices should be exercised. Can FERRO-GREEN® replace wire mesh, steel mats or rebar in slab-on-grade concrete? What benefits do FERRO-GREEN® fibers have over steel fibers? FERRO-GREEN® (which means “Strong as Steel”) fibers are non-corrosive, non-magnetic and 100% alkali proof. 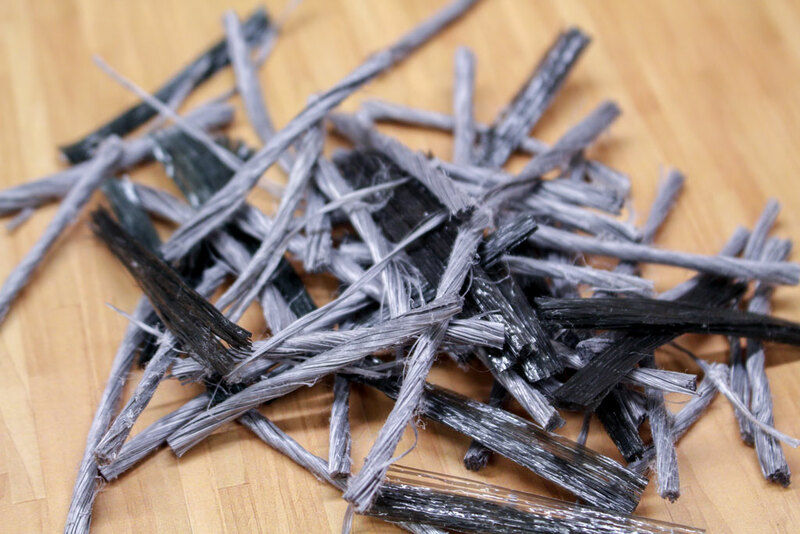 In comparison testing vs. three types of steel fibers, it was determined that it requires 1 pound of FORTA-FERRO fiber to offer equivalent A.R.S. (Average Residual Strength) values to that of 10 pounds of steel fibers. This one-to-ten dosage ratio offers tremendous advantages for FORTA-FERRO fibers in the batching, pumping, placing and finishing processes. Contact FORTA® for comparative test results.